Prime Minister Saulius Skvernelis says the country should wait for the Social Democratic Party to state its final position on withdrawal from the ruling coalition, saying that the future of the three LSDP-delegated ministers would depend on them and the termination conditions. Speaking about the posts held by the Social Democrats in the government and parliamentary committees, he emphasized that no one was "irreplaceable." "Decisions taken by individual members of a single party will not push the state off balance (…). Let's not discuss that. If the decision is to leave categorically and unconditionally, we will definitely say, after possible discussions with other political forces, that someone has to stay and we will ask them to stay. No one is irreplaceable, some are just not yet replaced," Skvernelis told journalists on Wednesday. The prime minister said an action plan had already been worked out, should the Social Democrats decide to leave the coalition, with coalition talks in progress with all political forces. "I can definitely say that the government of the Republic of Lithuania will work, the parliament will have a majority, and we have a plan. (…) There will be a coalition," Skvernelis emphasized. In his words, the three ministers delegated by the Social Democratic Party will not be automatically recalled and be given a chance to "decide personally." 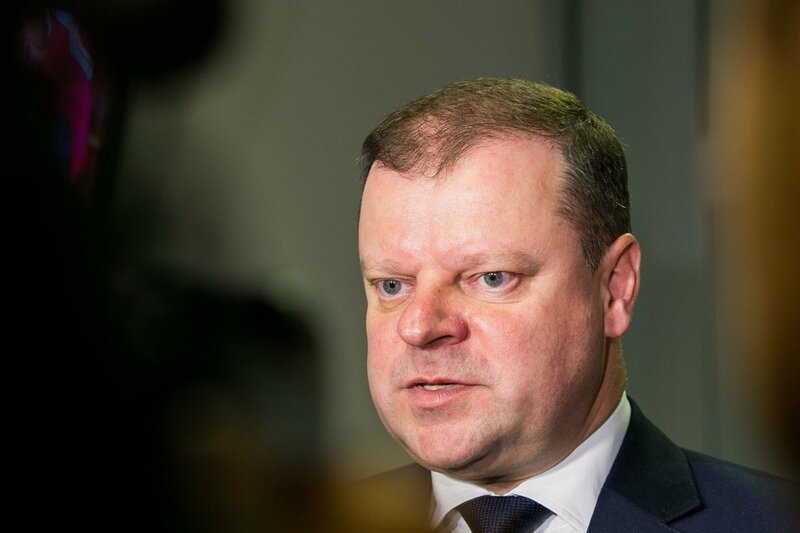 Some 43 of the 60 branches of the Lithuanian Social Democratic Party want the party to leave the ruling coalition with the Lithuanian Farmers and Greens Union, with the decision to be taken by the party's council on Saturday. LSDP leader Gintautas Paluckas says that should the council endorse the decision of branches, ministers and heads of parliamentary committees will be given a week to decide on their future. He did not rule out compromises with the Farmers and Greens Union on future cooperation, while being in "constructive opposition."